The Beatles appeared on the first edition of the BBC radio show Top Gear, a weekly late-night pop music programme, on 14 July 1964. Not to be confused with the BBC television show of the same name about motor vehicles, Top Gear was produced by Bernie Andrews, who had worked on the Saturday Club radio show, and was presented by Brian Matthew. This first episode was broadcast two days after the recording, on the BBC Light Programme service, from 10pm on 16 July 1964. 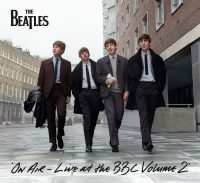 The Beatles recorded seven songs between 7 and 11pm at London's Broadcasting House. They were Long Tall Sally, Things We Said Today, A Hard Day's Night, And I Love Her, I Should Have Known Better, If I Fell and You Can't Do That. 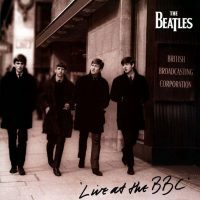 Things We Said Today and A Hard Day's Night were released on 1994's Live At The BBC, while Long Tall Sally, And I Love Her, If I Fell and You Can't Do That were all on 2013's On Air – Live At The BBC Volume 2. This was the only occasion in which The Beatles performed And I Love Her outside EMI Studios. The song never made it into their stage repertoire, despite its popularity, and the group never performed it during their other numerous television and radio appearances. George Martin was supposed to have joined The Beatles to play the piano solo on A Hard Day's Night, but failed to show up. As a result, the solo from the studio version was edited into the recording. This version, along with Things We Said Today, was included on the 1994 compilation Live At The BBC. Another anomaly was the inclusion of I Should Have Known Better in the programme. The Beatles did not perform the song during this session, but the EMI recording was played as if it had been. The Beatles also joined host Brian Matthew for some light-hearted banter. While introducing And I Love Her, Ringo Starr was asked if he had any plans to write songs. He replied that he had written one, before Paul McCartney interjected by singing "Don't pass me by, don't make me cry, don't make me blue". Starr had first mentioned Don't Pass Me By to the press in 1963, and McCartney had sung part of it during a 26 June 1964 interview in New Zealand, but it wouldn't be recorded until 1968. Prior to the day's recording, Paul McCartney gave a 13-minute interview to the BBC's Michael Smee for the programme Highlight, five minutes of which was broadcast on the General Overseas Service on Saturday 18 July from 11.15am. The interview was also taped at BBC Broadcasting House in Portland Place, London.